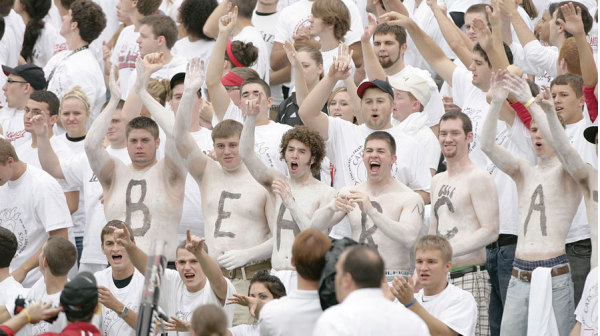 Our Bearcats find ourselves in a gridiron match against the Boilermakers of Purdue on Saturday in a WHITE OUT! 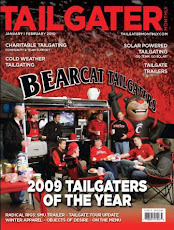 Kick is at 12pm and The Bearcat Tailgater plans to be at our location no later than 8am. We have changed locations this year but we are still on the grid, click here to see a map. We will have egg casserole, potatoes, sausage, mimosa and bloody mary bar, water and plenty of Miller Lite. All we ask is that you show up, drop us a few dollars to help cover our costs and have a good time. Feel free to bring a dish to share with everyone. It will be hot tomorrow, drink responsibly. 2013 Season - New Location!